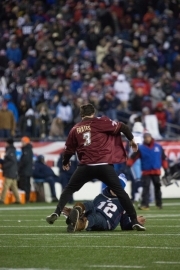 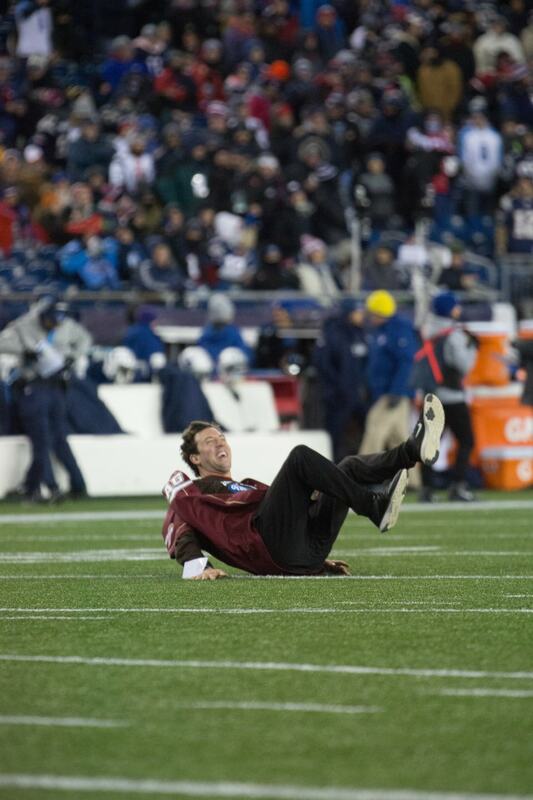 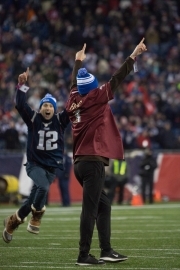 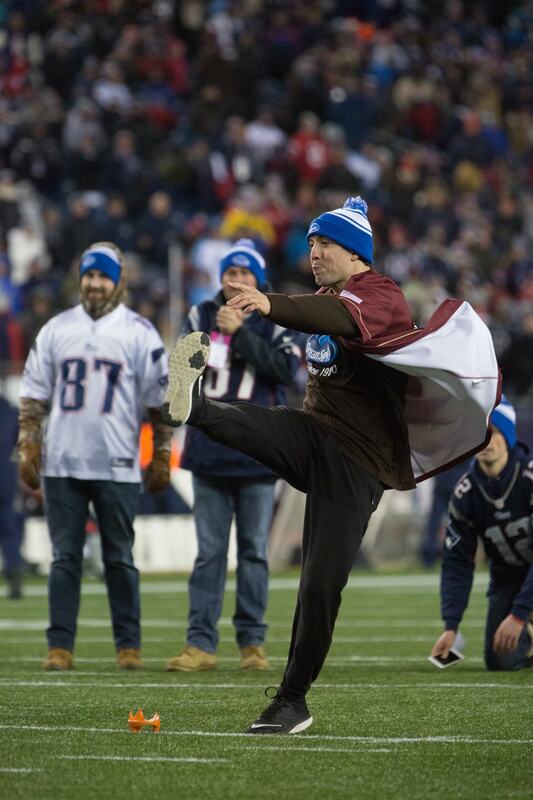 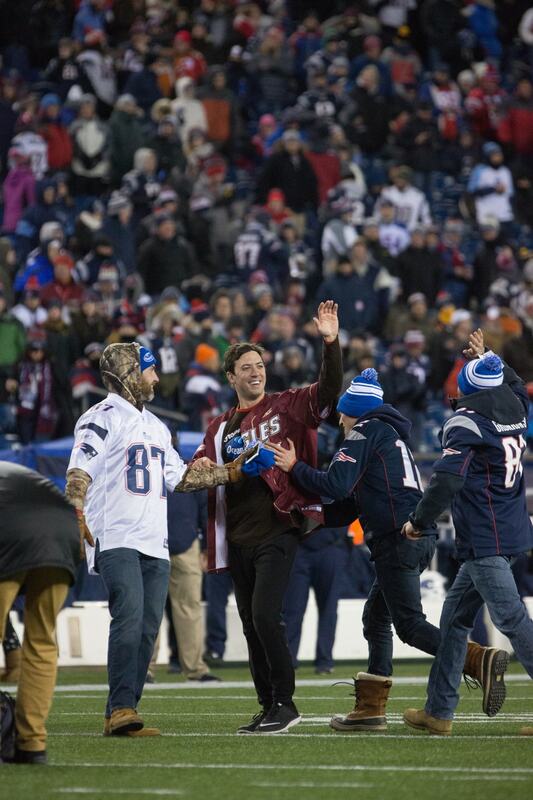 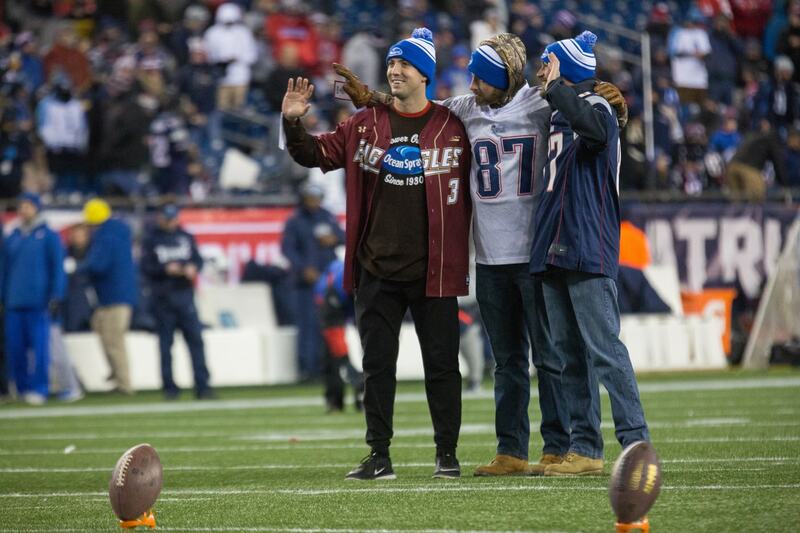 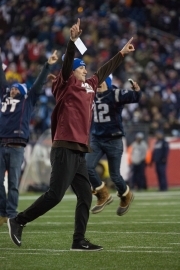 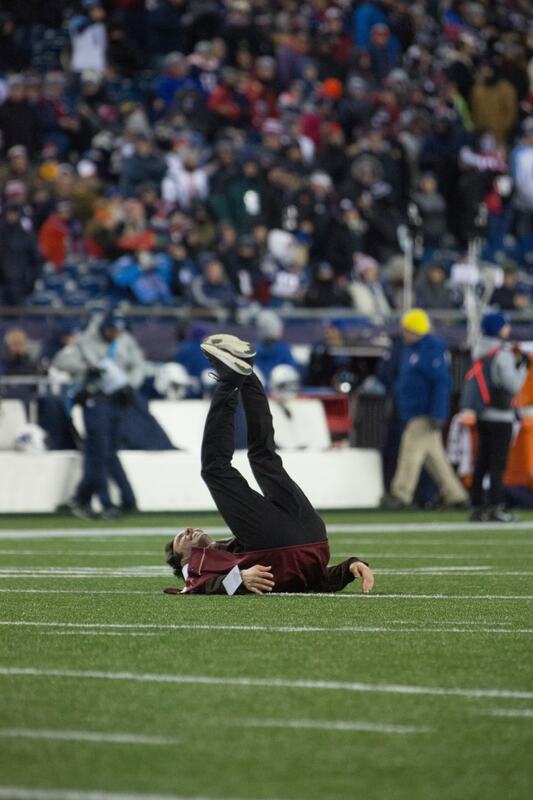 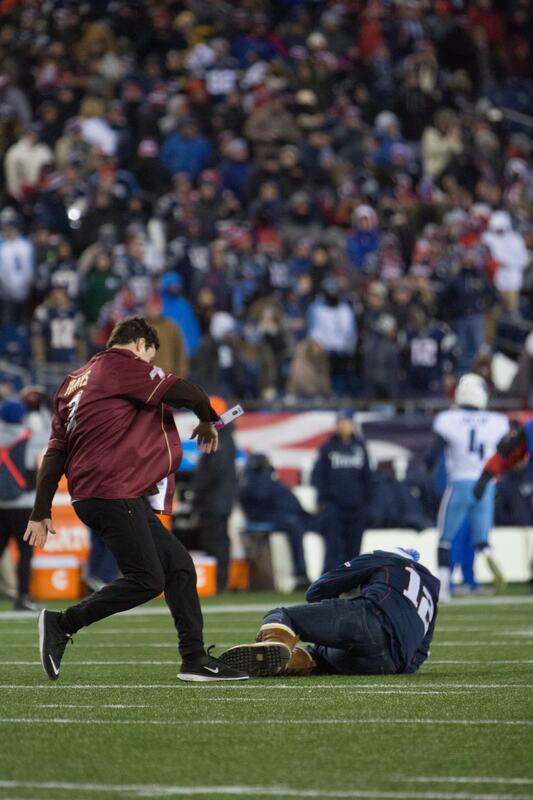 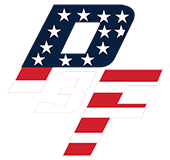 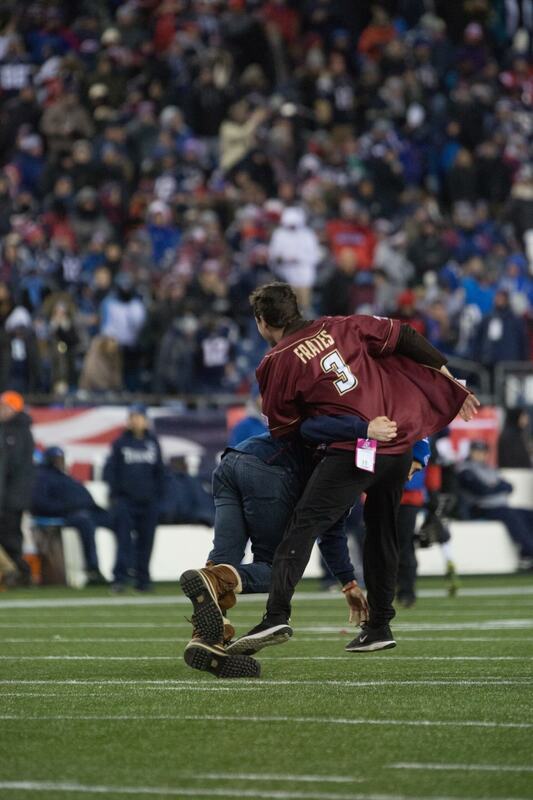 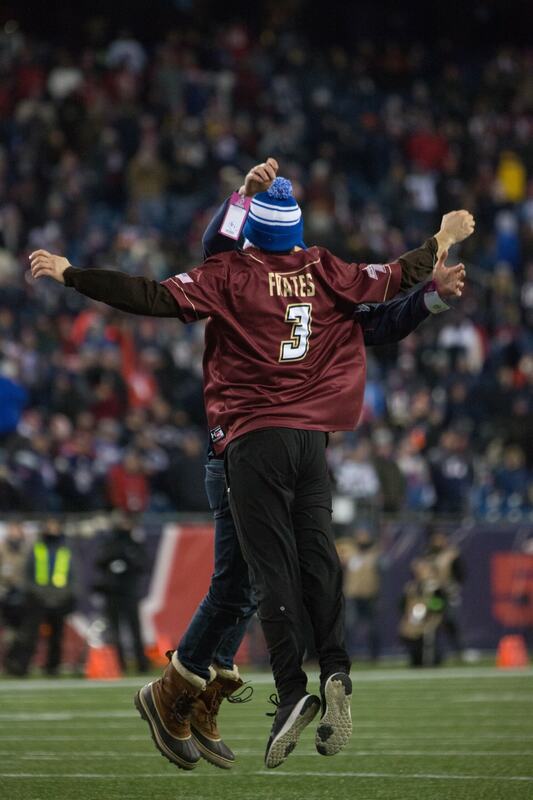 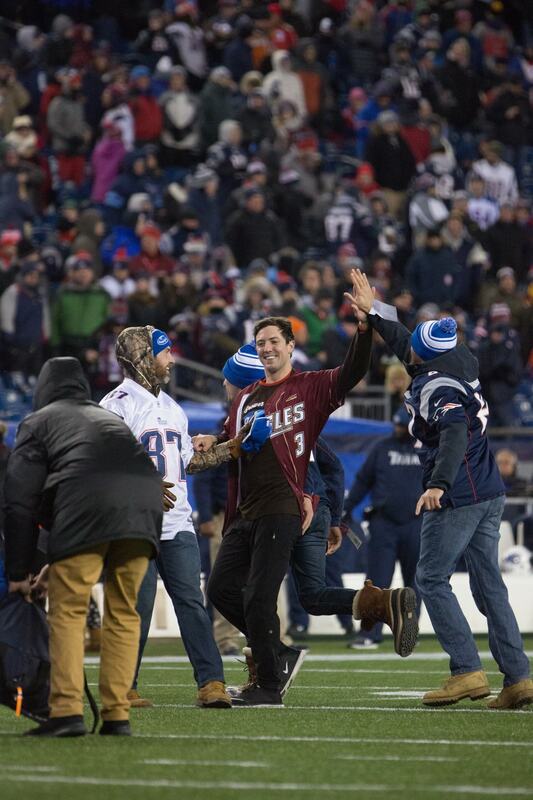 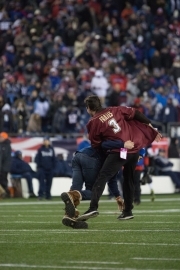 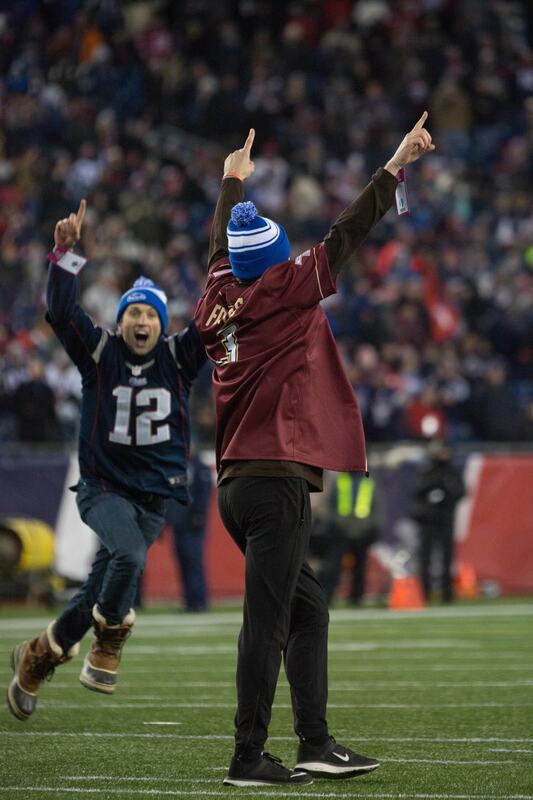 Andrew Frates Kicks $5,000 Field Goal for Pete Frates! Andrew Kicks $5,000 Field Goal for Pete! 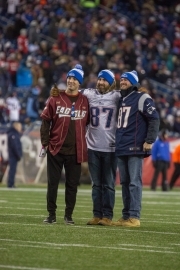 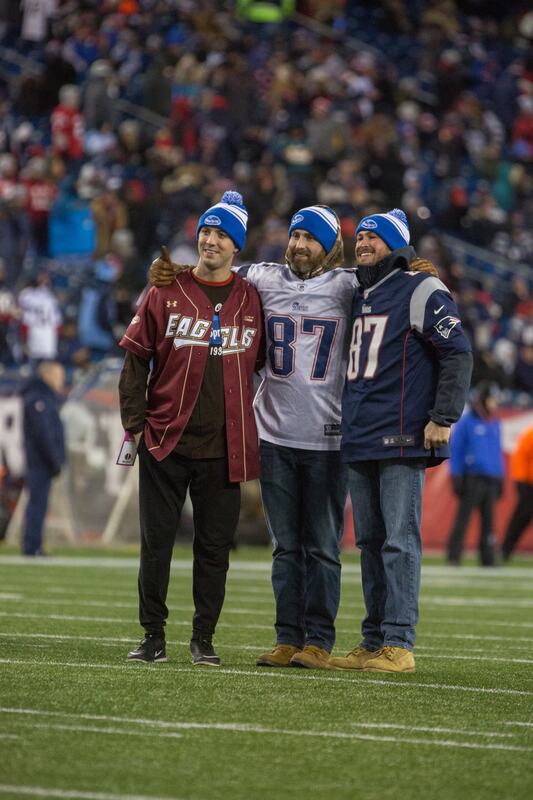 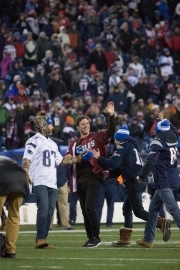 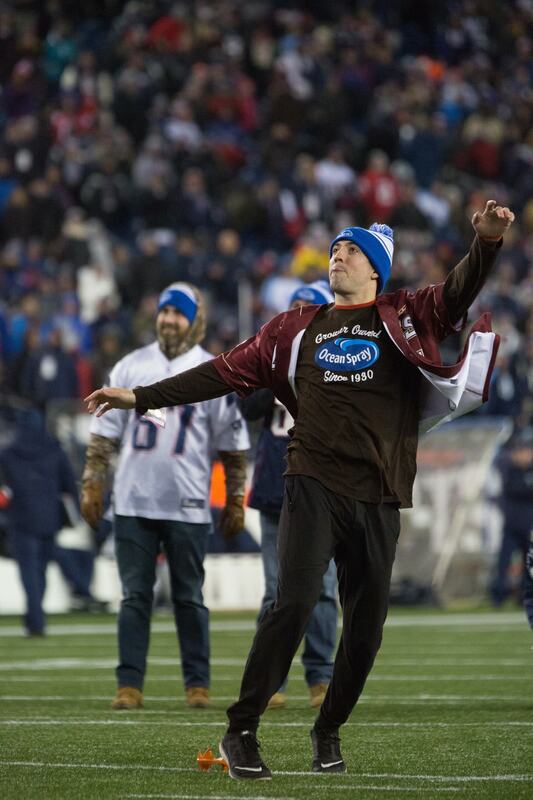 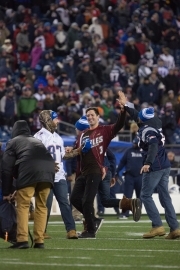 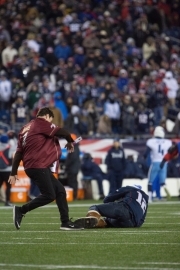 Before the AFC Divisional playoff game where the Patriots faced off vs the Tennessee Titans, Andrew Frates participated in the “Kick for a Cause” pregame ceremony hosted by Ocean Spray. 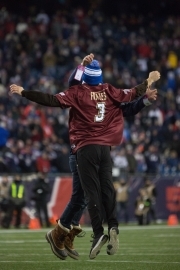 Andrew’s goal was to kick a 25-yard field goal for a charity of his choosing (Pete Frates #3 Fund). 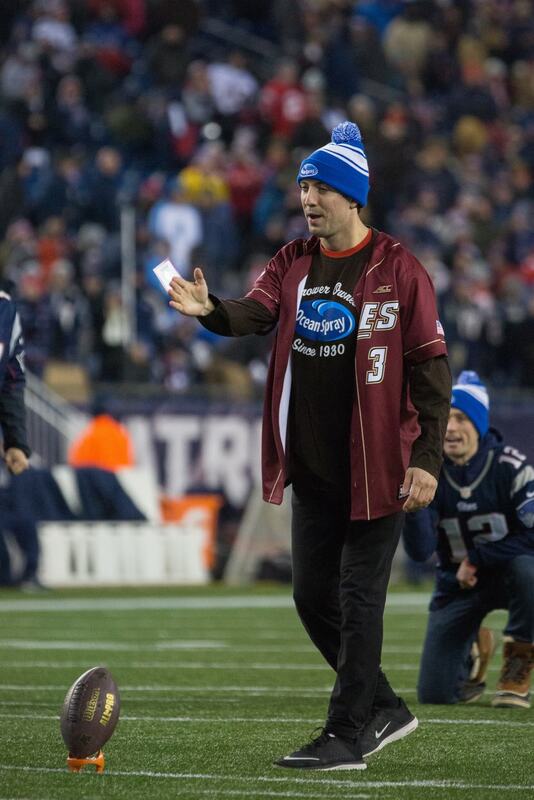 It was only 13 degree’s out in Foxborough and in-front of a packed house at Gillette, Andrew nailed it winning $5,000 for Pete’s fund!